Rosso Restaurants in Central Manchester pairs with The Langham Hotel in Hong Kong as part of the D1 International Cocktail Exchange, October 2016. Rosso Restaurants and 17 of the world’s top bars and restaurants from the UK and South East Asia pair up and swap signature cocktails as part of the world’s first D1 International Cocktail Exchange. Devised by luxury British spirits company D1 London Spirits, discerning cocktail lovers in London, Manchester and Birmingham will be able to experience an authentic taste of South East Asian culture in their home towns, with the bespoke cocktails. Rosso Restaurant will be joining eight other high-end UK bars which have been handpicked by a mixologist matchmaker at D1 London Spirits and paired with nine of the crème de la crème cocktail bars in South East Asia. 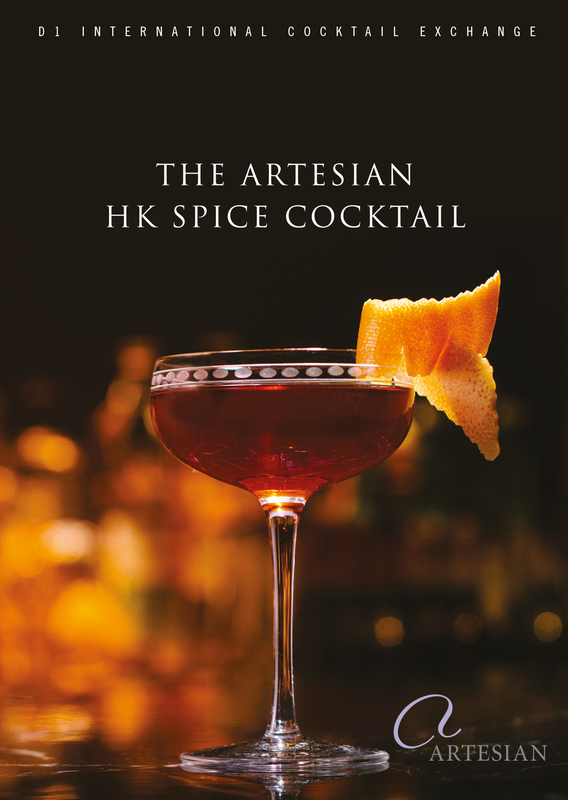 Rosso Restaurant has paired with the award-winning Artesian at The Langham in Hong Kong. Rosso Restaurants will be serving signature cocktails created by their twinned venue which features D1 Potato Vodka or D1 London Gin as a base spirit plus hyperlocal ingredients. Rosso Restaurant expert mixologists have created the Mancunian Mandarin priced at £10.00 which will be served at The Langham Hotel HK, whilst Rosso Restaurants will produce The Artesian HK Spice Cocktail priced at £12.00 created by The Langham Hotel for the next three months at both restaurants & bars. “Rosso Restaurants a celeb haunt and a firm favourite with sporting stars, now gives patrons that extra customer experience, via Rosso Restaurants cocktail partnership within South East Asia, a true taste journey! We hope our ‘Mancunian Mandarins’ become a firm cocktail favourite in Hong Kong. It’s great recognition of Rosso Restaurants to be included in a global exchange, and as the only venue in the North we’re delighted to be involved.” adds Holly Wood PR for The Italian Food Company Ltd.
From October, guests can enjoy a true taste of South East Asia at Rosso Restaurants. A wide selection of fine seasonal Italian menus coupled with one of the finest rare spirit and wine collections outside of London. A much loved favourite with celebrities, sporting stars and guests that want to experience fine dining at its best, Rosso Restaurant provides true Italian luxury and panache. For media/PR enquiries please contact Holly Wood on Holly@rossorestaurants.com or call 07734 061041. Images courtesy of The Italian Food Company and Rosso Restaurants. "Rosso Restaurants a celeb haunt and a firm favourite with sporting stars, now gives patrons that extra customer experience, via Rosso Restaurants cocktail partnership within South East Asia, a true taste journey!"